Lifting Gear Hire is the industry leader in the rental of hoisting & rigging equipment. Currently, we have 21 rental centers and over 45 rental representatives nationwide, ready to provide rental of all types of hoisting, pulling, jacking, and rigging equipment to meet virtually any and all conceivable lifting or moving need. The success of Lifting Gear Hire owes much to our commitment to lifting engineering and our commitment to professionalism in everything we do. This is achieved through dedication, preparation, hard work and a willingness to assess all aspects of our company’s operations. This continuously ensures we achieve optimum levels of efficiency in all areas of the business. With our management averaging 16 years of individual experience in lifting and rigging equipment rental service, our teams work together to ensure that our business units are advancing towards our goals and contributing to the overall success of the Lifting Gear Hire and ultimately, our customers. Tony Fiscelli began his career at Lifting Gear Hire in 1995. Upon graduating Ohio University with a Bachelor of Science in Industrial Engineering, he accepted the position of Quality Assurance Manager at LGH. Tony was promoted to Branch Manager in 1997, then General Manager in 2002, and accepted the position of President in 2009. Tony thrives in the fast pace of the lifting equipment rental industry, and he enjoys the challenges and decisions he is faced with daily in business operations. His philosophy resonates in his actions – that his most valuable asset to LGH is his ability to give his time and energy to the people with whom he works. Having been married for fifteen years with two daughters, Tony has a close family and enjoys spending as much of his time outside of work with them. Transplant Village is a group of organ recipients, donors and their families that are united in our mission to support the future of organ transplantation at Northwestern Medicine while connecting and supporting the transplant community. Thomas Beasley is the Business Support Manager of Lifting Gear Hire. After 10 years of working at a few information consulting firms, in 2003, he joined Lifting Gear Hire as IT Manager. He partnered with the management team to develop systems to streamline business processes. In 2008, LGH restructured its business group and Thomas was promoted to oversee the business support group which included Finance, IT, HR, and Risk Management. In October 2012, he was elected as an officer of the corporation and asked to serve on the Board of Directors. Thomas enjoys working with the management team to continue to develop innovative ways to manage the business with the use of technology to support LGH employees and its customers. Outside of work he enjoys traveling, volunteering at non-profit organizations, and experimenting with new technologies. Dan Pittman is the Business Sales Manager for Lifting Gear Hire. 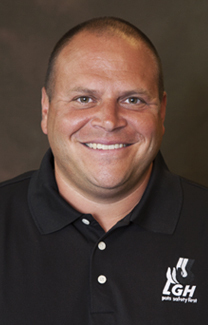 Dan joined the LGH family in 2002 as an outside rental representative. 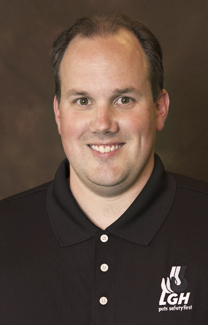 Dan was promoted to NE Regional Manager in 2006, then Business Sales Manager in 2010. 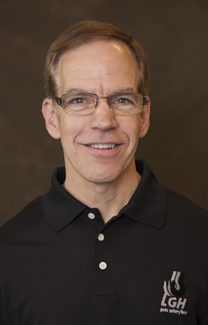 In October 2012, Dan was appointed to serve on the board of directors. Dan is grateful to be a part of the LGH Team and enjoys the challenges of developing and expanding LGH’s national presence. He firmly believes in LGH’s core values and mission and strives to ensure the company continues to achieve its present and future goals. Dan has been married for sixteen years and has one son. 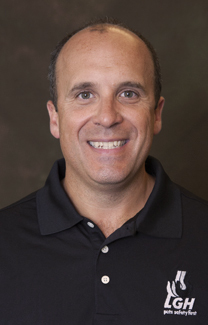 Outside of work, Dan enjoys coaching youth sports, golfing, and spending time with his family. Robert Wilkins is the Business Operations Manager of Lifting Gear Hire, joining the company in April of 2014. Prior to joining LGH, Bob held executive positions in several other companies for 34 years including 23 years of steady upward progression in retail. After serving as Store Manager, Regional Merchandise Manager and Divisional Vice President in two retail organizations, he joined what is now AT&T, as Director of Cellular Stores in the Midwest region and progressed to Vice President of Sales, overseeing a multiple state B2B sales and operations team. During his tenure at AT&T he helped lead in the sale of a wireless division to a capital equity firm, integrating the regional division into a national organization. Bob brings experience in a variety of areas including operations management in diverse business environments, budget creation and management, growth strategy development, customer relations, contract negotiation, multi-state team leadership, P/L control, and people development. Bob is married and has an adult son. During his off time, Bob enjoys running, working out, reading and spends a significant amount of time volunteering at his local church as Director of Operations and teaching courses.